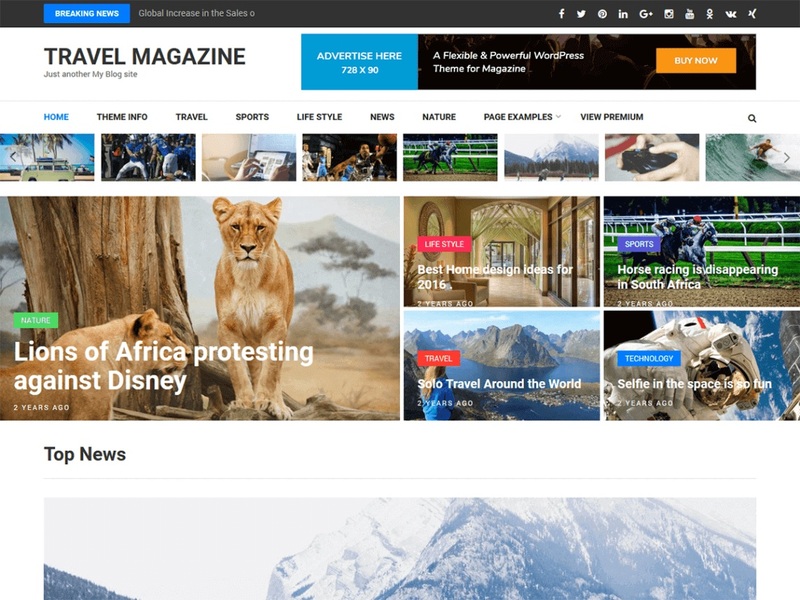 Travel Magazine is a child theme of Numinous WordPress Magazine theme. The theme is a clean, elegant, and responsive magazine style WordPress theme suitable for news, newspaper, magazine, food, technology, viral content websites. The theme is easily customizable using the options available on the customizer. Designed with visitor engagement in mind, the theme has a clean layout and great typography to create a beautiful looking website and adds up to a great user experience. The theme is developed using SEO in mind so that you can easily climb the Google ranking. The theme comes with several custom widgets that can be placed on various widget areas in the theme. It also had color options for the category. The theme is also translation ready.